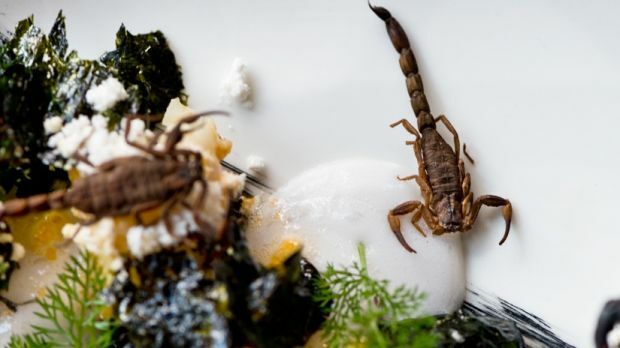 Neal Menzies wants you to eat bugs. He’s not the school bully or a slightly deranged hippie but a professor at Queensland’s largest university. Professor Menzies is pitching the idea at a Pint of Science event in Brisbane on Wednesday night, where he will join other scientists and eager listeners to talk about the topic over a few beers. “To me it sounds like the perfect lecture setting,” he says, laughing. A promo page for the event proposes the idea that eating insects instead of beef would “feed the world in a millionth of the space and allow nature to recover from thousands of years of cattle grazing”. “The thought for the evening is how we can produce food in a manner that is more environmentally friendly,” Professor Menzies said.